To cap off the year’s media preview, the long awaited Wild Orchids State Definitive was previewed this morning. The date of sale is on 04 December 2018. Recall that the Orchid National Definitive was issued on 21 February 2017. The Wild Orchids are found in Peninsular Malaysia with only the 30 sen Phalus subtrilobus and 40 sen Dendrobium macrophyllum var. ternatense are found in Mount Kinabalu. The folder is a special design with 2 pockets to keep all the 14 MS FDC x 2 types and 4 plastic sleeves to keep the MS in an overlapping row. These (SODA Order Form and Eziemall) are the ONLY easy way to obtain ALL the 14 states matching cancellation on FDC! So, on that day, do inform me what is the actual arrangement. The other good news is the designer, Mr KY Lim, Reign Associates is expected to come and autograph the products. Foreign orders for MINT complete sets are accepted at sky52200myfdc@gmail.com and will be supplied on a paid basis. Order will be refunded if the issue is cancelled or sold out. Well…. one piece by one piece and not in a set. I wondered how long it will last. Or just sold out within mere 1 or 2 hours. If 40-50k/state design, should be moderate or suffice enough. Maybe it is just me. 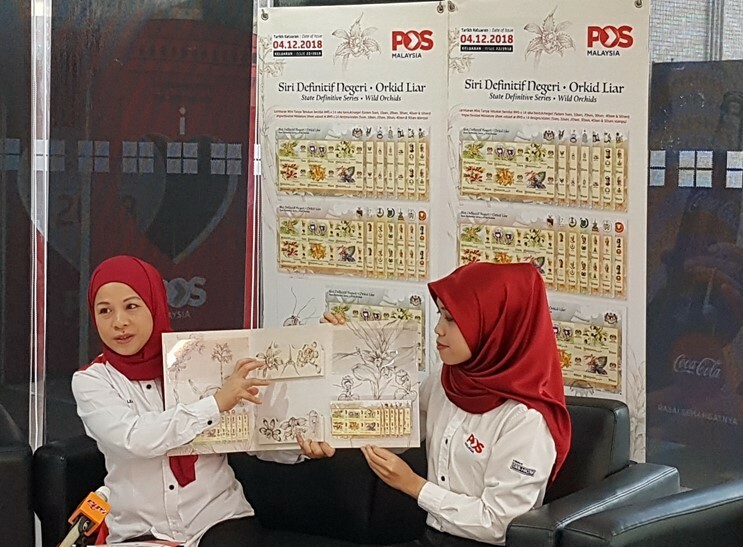 According to one of pos malaysia staff in-charge at MAHA 2018 booth I visited last wednesday, he informed me that those sheets are not sold separately (which means no personal preferred states). Need to buy in full sets whether the RM1.55×14 perf or RM5x14 imperf. Since you said mint loose sets also offered, I wondered which one should be followed. Anyway, I’ll stick with 14-states set in hand, good for future references. Hi, the loose MS is only for the state where it is sold. E.g. Perak will have loose Perak MS for sale. If the stock mis-allocation occurs again, then the sale will be brisk. Otherwise, it should be fine. It is better than a stock over-hang. PO Klang Selatan stock for perforation MS set had gone zero. Only left with imperforation MS set.